Vote for my fellow blogger’s book and share the love. Lots of good news this week! 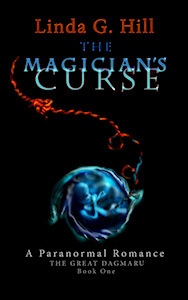 I’ve been nominated for the prestigious Paranormal Romance Guild’s Reviewer’s Choice Award with The Magician’s Curse! This couldn’t come at a better time, since I hope to publish Book Two of the series, “The Great Dagmaru,” in April. You can see the full review by clicking here. To vote, just click on the Nominee picture above. You only get one chance to vote, and you have to be signed into Google. My category is about two-fifths of the way down the page.